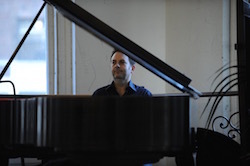 Larry Keigwin teaches at a previous Steps with Contemporary Masters class. Photo by Sofia Negron. 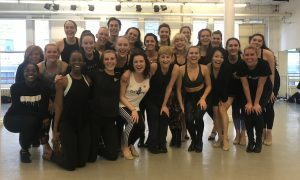 Steps on Broadway, founded in 1979, and regarded as one of the true epicenters of New York’s professional dance community, is gearing up for another feverish summer of activity in its studios. 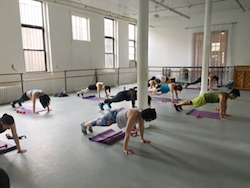 In June, the Summer Study NYC program begins, the popular Steps with Contemporary Masters series launches, and the Steele Pilates Teacher Certification Mat Workshop takes place. In July, a new Accompanist Workshop will be offered, and the beloved Ultimate Intro series will return. Steps class. Photo by Eduardo Patino. Summer Study NYC (SSNYC) is described as a “total immersion in New York’s contemporary dance world.” This audition-based program presents intermediate to advanced U.S. and international dancers aged 18 and older an opportunity to study and perform under the direction of some of the best artistic directors and choreographers in the industry today. 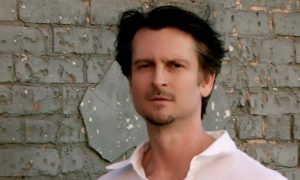 Dancers learn from some of the best dance-makers through the Contemporary Masters series, as well as through the Creative Tools and Performance Skills classes, which teach the “necessary experience for movement generation and composition,” according to Jackson. Steps offers Morning Fit and Steele Pilates classes. Celebrating more than 20 years, this program once again presents one-week workshops in technique, repertory, movement exploration and creation led by different major artistic directors or contemporary choreographers each week. The 2017 teacher lineup includes choreographic heavyweights like Dwight Rhoden, Helen Pickett, Elisa Monte, Andrea Miller, Joshua Beamish and Sidra Bell. Steps offers Morning Fit classes and Steele Pilates classes. 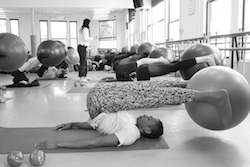 Teri Steele is the founder of the Steele Pilates Teacher Certification Mat Workshop. She is a Pilates Method Alliance (PMA) Certified Pilates instructor and PMA-CEC provider. Many of her certification graduates have gone on to open up their own studios in a very short time in places like Sweden, Copenhagen, Norway, Japan and Israel. This year’s certification requirements include 20 hours of lectures and supervised teaching, 10 hours of self-practice Pilates Mat classes (to be completed by August 4) and an online exam (to be completed by August 4 as well). Steps on Broadway Accompanist. Photo by Eduardo Patino. Brand new this summer is this workshop for experienced musicians who want to learn how to play for ballet classes. Grumet has spearheaded the new program, which will be led by Olga Bazilevskaya. After all these programs, dance newbies might wonder where they fit. Not to fear! Steps doesn’t leave out the adult beginners but rather presents a series of workshops just for them in ballet, hip hop, jazz and tap. Adults new to dance can come experiment and reap benefits like improving their balance, flexibility, posture and more. 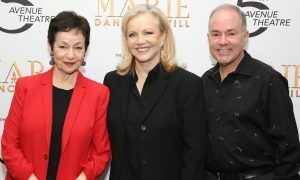 For more information on Steps on Broadway’s exciting summer programs, visit www.stepsnyc.com.